Not many people could be married to me – and I mean that. If you don’t like to paint… well, you and me would never work out. 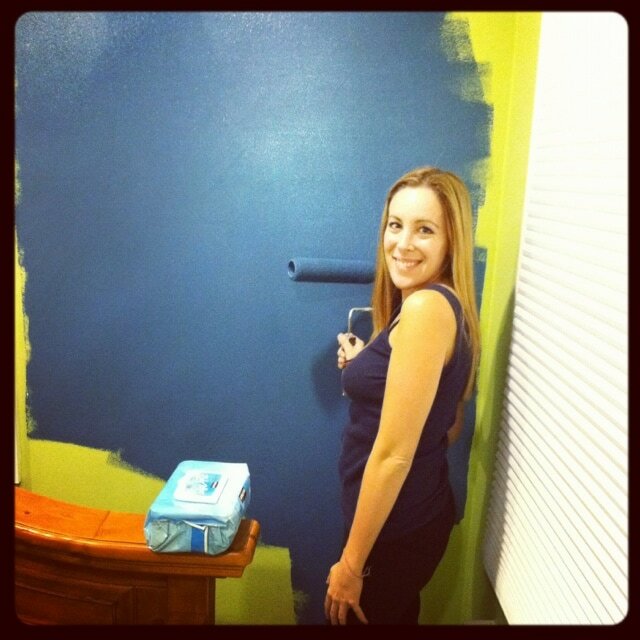 I LOVE to paint and repaint rooms. We’ve been in this current house for about 5 years and I think we’ve painted at least 4 rooms over already. I – Can’t – Stop. I bought paint and then Bill wanted to get the paint that doesn’t smell – Aura. So, we had to go to Benjamin Moore and get different paint. I was so ANNOYED but I understood his logic. I wasn’t thinking about the odor / chemicals. I was just thinking about color. So – here is our system. I do all the middle – top to bottom/ two coats – and Bill does the borders. I don’t have a steady hand and we don’t use tape. He’s like the master border-er. Yes, that is a word. This is how it came out. So happy! We are making Liam’s bed a full as we speak. 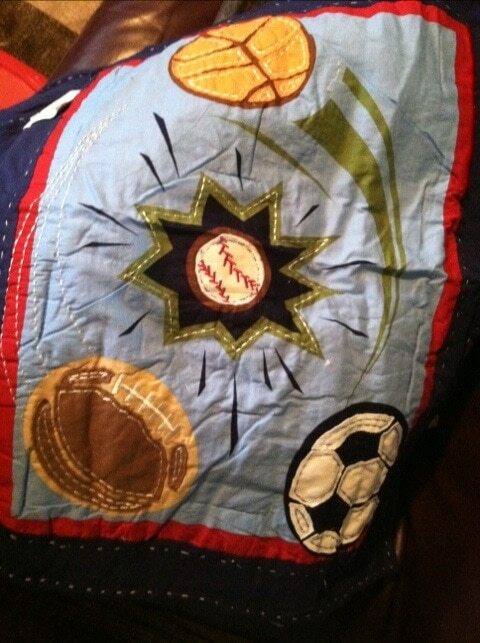 I bought him new bedding last night. 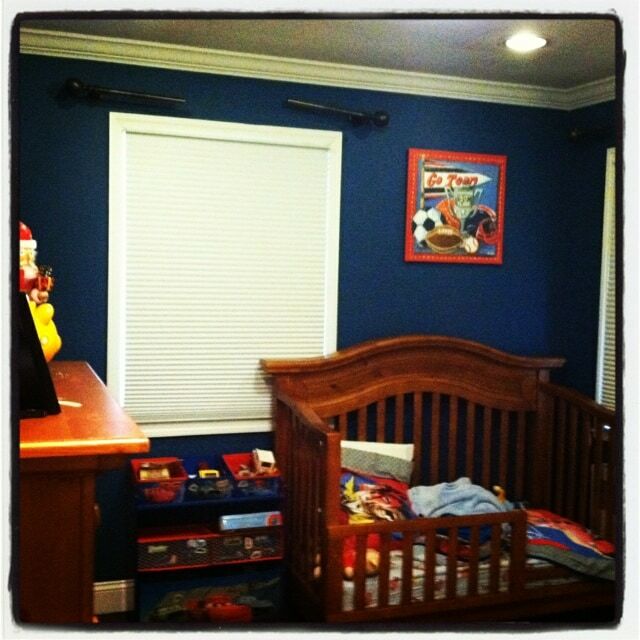 His room is almost done! Woot! Woot! why don’t you use tape? He doesn’t like to? I don’t know. It’s crazy! !